Brewing beer using the all grain method is one step you can take to matching excellent professional craft beer. Like most things, freshness is tightly tied with overall quality. Old herbs just don’t have the same punch as fresh ones, and old fishing bait doesn’t garner as many bites. The same mantra is true for brewing ingredients. Freshness is key, and brewing with freshly milled grain can provide a big boost in the overall quality of your finished beer. Grain mills come in all shapes and sizes. They can range in price wildly as well. For the most part, the objective of the mill is to crush the grain and expose the white center, or endosperm. A good mill will separate the grain and not split it. This is why using a blender or other more “DIY” type milling approaches are not recommended. 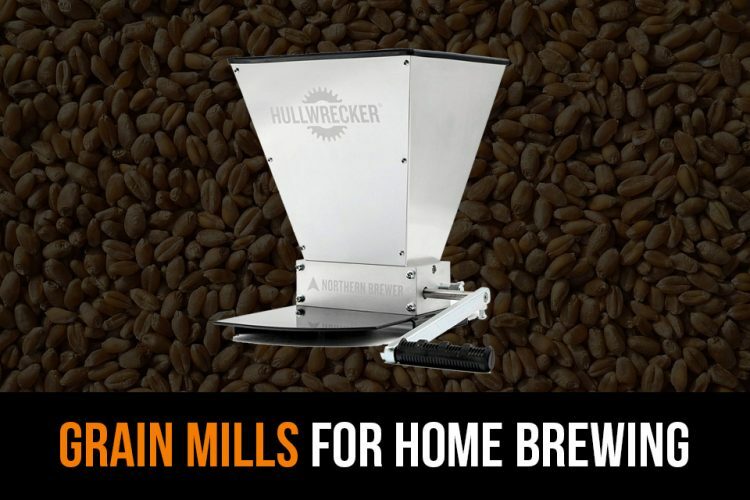 Two popular types of grain mills for homebrewers are plate mills and roller mills. Plate mills work by running the grain between two plates which are spinning in opposite directions. They are more affordable than roller mill, but are more susceptible to less consistent crushing. Roller mills are preferable to plate mills thanks to more even, and higher quality crushing. You will find mills with one, two, or even three rollers. You still run the risk of the defects found in plate mill crushing when using a single roller mill, but all-in-all the crush will be superior to plate mills. Two roller mills cost more, but once properly adjusted can almost perfectly separate the husk while still leaving it intact. Triple roller mills are the highest quality, but their price limits their accessibility to most brewers. They are also a bit of overkill since two roller mills work so well. 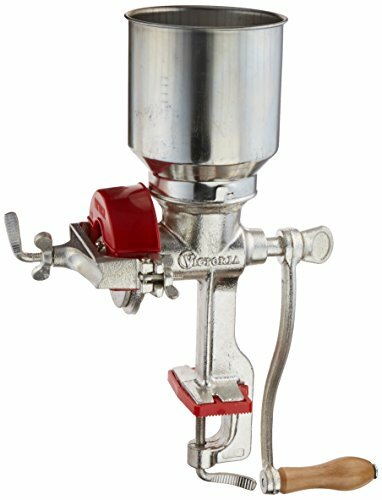 The Victorio VKP1024 tops our list as the best grain mill for its combination of rigid/durable design, flexibility, and great entry level price point. The table-top clamp is awesome to attach it to your brewing table without taking up working space. The hopper holds 4 1/2 cups of grains and the front dial adjusts the coarseness setting. What we also love about the Victorio VKP1024 model is that it’s compatible with an optional motor. This can actually power your manual mill in a low-torque and low-heat setting. 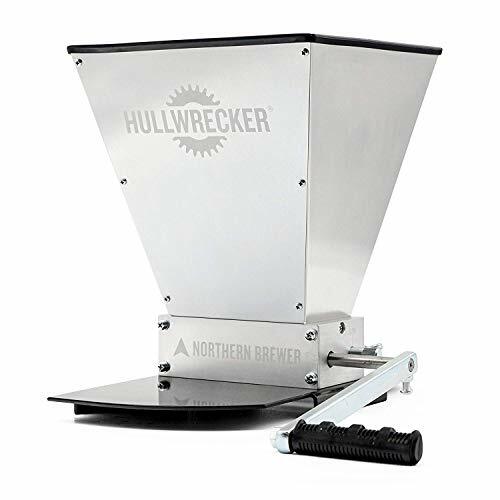 Next up on our list is the Hullwrecker 2 roller grain mill by Northern Brewer, which is actually (and confusingly) our #1 pick for intermediate – advanced brewers. This beast is heavy duty and doesn’t require a table clamp like many smaller manual mills. Instead, this sits on top of any standard 5 – 6.5 gallon bucket and the hopper holds 7lbs of grains – a big step up from the smaller 4 1/2 cups in the previous Victorio. Hullwrecker comes with a pretty ergonomic handle, but if you’re still looking to relieve your forearms, you can power this thing with a drill! Furthermore, the roller gap is adjustable from 0.025” all the way to 0.1” which lets you fine tune the end product. There’s not a ton to say about this one; the Victorio commercial grade grinder (not to be confused with the VICTORIA brand listed above…) is your basic every day grinder. It’s the cheapest option on our list and does a bare-bones, honest job. Plus, it looks like something you’d find in your grandfathers shed – which is awesome. The Barley Crusher is the perfect name for this machine. 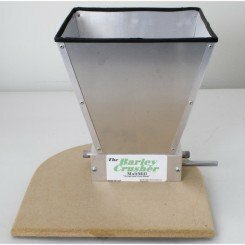 Its massive 15 lb hopper is the largest of our recommendations and great for the serious brewers. This grain mill sits on top of a 6.5 gallon bucket fermenter and also has the drill ability to speed up production. 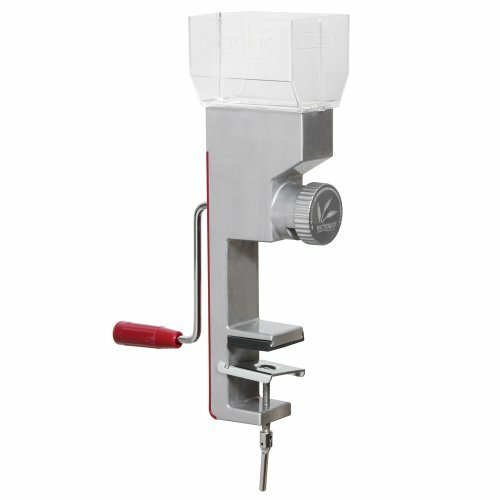 When using a 3/8 drill motor at 500 RPM, it gives a throughput of 6 pounds a minute. We wanted to add an option for electric grinders, because some people really like them for ease of use and speed. 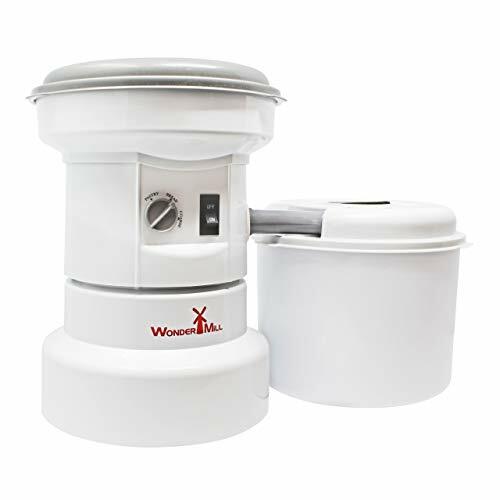 The Wondermill electric grinder is very well regarded as a reliable option for quickly grinding down grains into flour. With that said, it’s important to read past the marketing where it claims to be a mill – it’s not. This will grind your grains which generally isn’t preferred when brewing. And then there’s also the price point. This grinder is significantly more money than our #1 pick even if you bought the optional motor to turn it into an electric mill. If you really want a fully electric grinder, this is our pick, but encourage you to look at a manual mill + motor head or drill for the best brewing experience. 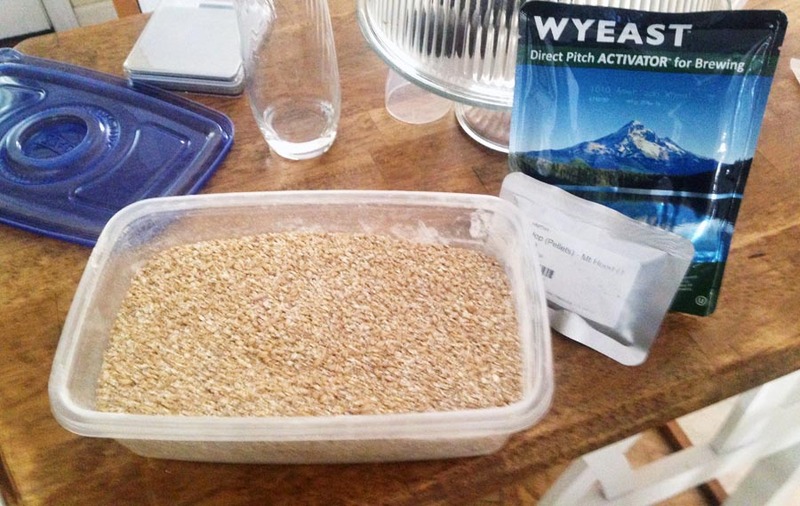 There are several great benefits to buying unmilled grain and milling it yourself on brew day. Freshness and control are two huge benefits, but there are many others. Brewing with fresh ingredients is one of the quickest ways to improve the quality of your beer. When you purchase pre-milled grain, you know it’s at least 3-5 days old before it arrives on your doorstep. Then if you’re not brewing in the next few days, you need to sit on the milled grain even longer. When you brew our own grain, you guarantee its freshness. It’s also possible to save money buy purchasing your own grain and milling it. Yes, the mill is another piece of equipment that you otherwise wouldn’t need to buy, however, buying grain in bulk can save you up to $2 per pound. After a few sacks or grain, the mill will have paid for itself and you’re now saving money on each and every batch of homebrew. 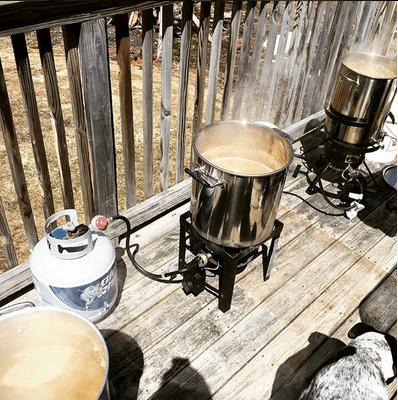 Creating the best homebrew for as cheap as possible, without sacrificing quality, is the goal of home and professional brewers alike. Unless you’re making a whopper of an IPA, your grain bill costs are likely going to account for the largest percentage of your costs. 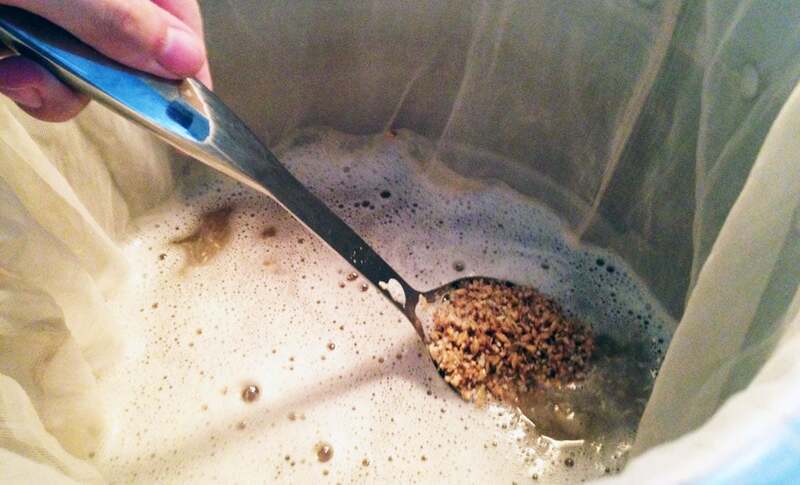 So, if you’re able to buy a large quantity of grain, you can save 10-15 dollars every time you brew a batch of beer. Most people who purchase unmilled grain in bulk only do so with base malts, however you can sometimes find deals on 10 or 25 pounds of malts, so frequently used specialty grains shouldn’t be left out of the equation. It should be noted that the discounts on 10 and 25 pound bags aren’t as steep as those found on 50 pound sacks. There are many brewers who create recipes based on what they can order so they don’t have excess inventory that gets wasted. This however can lead to recipe faux pas such as using too much crystal malt or other grains with flavors that should be used sparingly. By purchasing unmilled grain, you can avoid this common mistake by always using just the amount of grain you need. You will also save a bit of money if you save the unused portion of unmilled grain. Doing so will mean you don’t need to buy another pound just to use 4 ounces on your next batch of beer. Milling your own grain gives you unsurpassed control on brew day. After getting several all grain batches under your belt, you realize how important it is to be consistent. Every homebrew store has their grain mill on different settings, so if you order from one store the first time, and another location the next, the same grains could have a different crush, leaving you with a potential mystery in the brewhouse efficiency department. Having your own mill means the grain is always crushed to the same extent. The same goes for brew in a bag brewers. It’s much easier to ensure a double crush (when you run the grain through the mill twice) when you do it yourself. Crushing your own grain lets you adjust your brewing schedule on the fly to some degree. If you have an unexpected scheduling change and you can’t brew for a while, your grain will stay fresh, where as if you ordered pre-milled grain to brew with this weekend and now it’s no longer an option, you’re forced to let your crushed grain sit until you can brew again. On the flipside, having a store of unmilled grain on hand means you’re able to brew on the fly, provided you have some yeast and hops laying around, and let’s face it, who doesn’t? Having the ability to crush your own grain opens up a whole world of brewing possibilities. Not only will you save a bit of cash, but you’ll also have the option to be more flexible and create more precise recipes. Milling your own grain will also help you create more consistent results between batches.